Not just anyone is a huge fan of zebras, but for that special person who just can’t get enough of them, you will give them a reason to smile by giving them one of the nice gifts here. Each one of them is fun or unique. 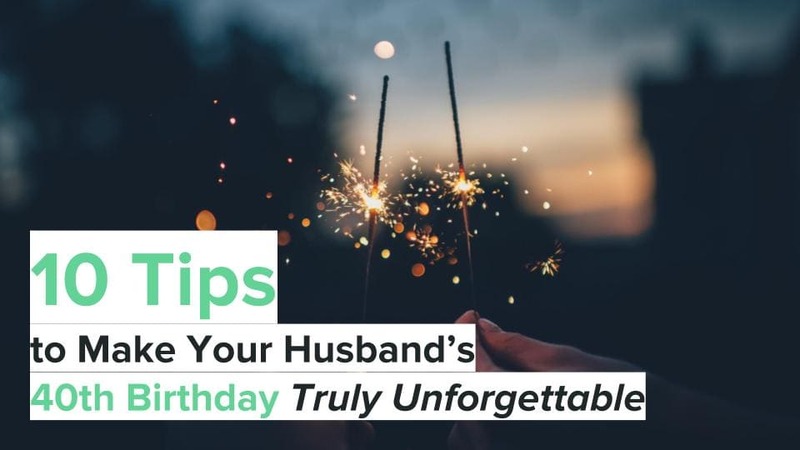 So, whether it’s their birthday, Christmas, or a celebration of another sort, one of these ideas will be sure to make their day! 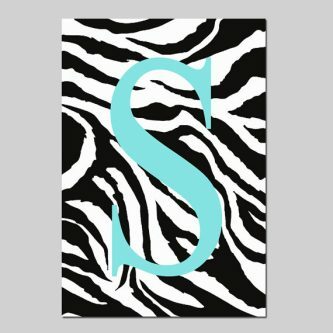 Monogrammed animal print wall art isn’t just for the baby’s room, it makes great decor in a living room or adult bedroom as well. Dressing up as a zebra for fun, or Halloween, is fun no matter your age. 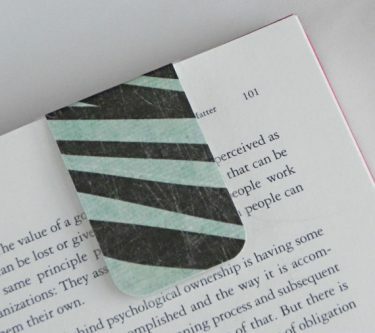 Regular bookmarks don’t stay put very well, but this magnetic bookmark with zebra print will help them keep their place as they read through a book. What better way to decorate their porch or yard, than a zebra planter. 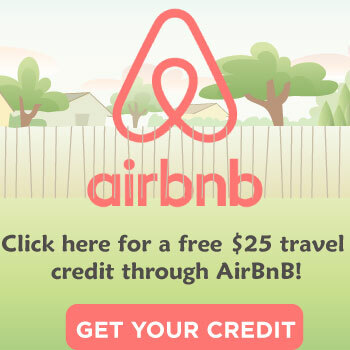 They can plant flowers, herbs, or something else wonderful in it to compliment their yard. 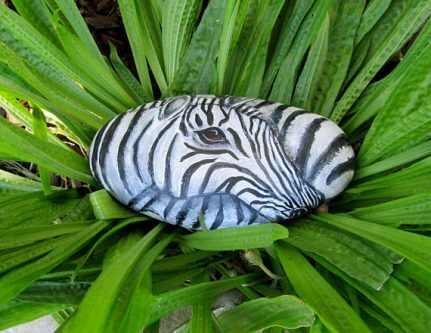 Handpainted rocks are beautiful and unique, and this one is even attractive to someone who doesn’t even love zebras. They can place it in their yard or in their house, or anywhere they please. Help give their house some flair with this large zebra print rug! If that special zebra lover in your life has a lot of jewelry and they love showing it off, then this zebra print and pink jewelry t-bar display will help them do so in style! 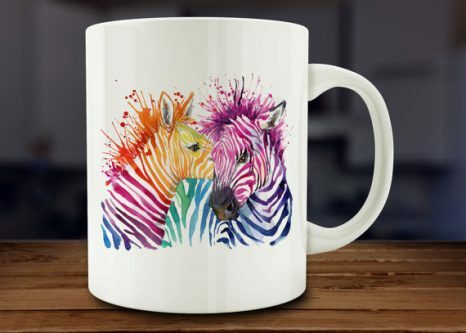 This beautiful and colorful zebra coffee mug will give them something visually appealing to drink their coffee from each morning. What a lovely way to start their day! These zebra heart-shaped stud earrings are for that special kid in your life that loves zebras. Their face is sure to light up when they open their gift! For the zebra lover in your life who spends a lot of time in the garden, these Sloggers garden shoes with zebra print on them will help them do their garden work and look awesome while doing it. Their bed needs a little sprucing up and these zebra print sheets and pillowcases will definitely do just that! 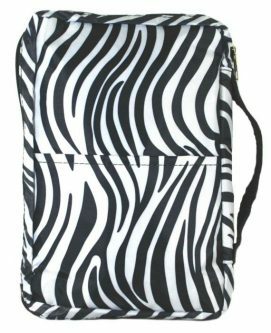 A monogrammed zebra Bible carrying case will help them to never confuse their Bible with another’s, for sure! Yum! Who wouldn’t love chocolate drizzled popcorn that looks like zebra stripes? For that zebra lover who also has essential oils to carry around, or store at home, this pink zebra aluminum case will make it easier and more organized. 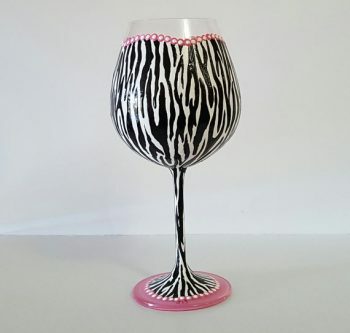 A zebra wine glass to drink their favorite wine from after a tough day of work will give them something to look forward to coming home to! 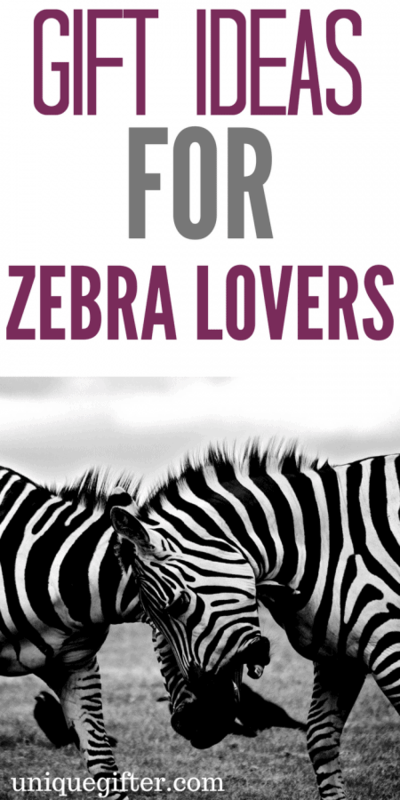 Is your favorite zebra lover, a music lover as well? 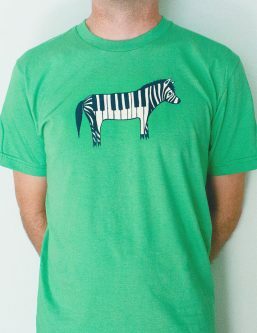 Then this zebra piano shirt is just right for them. Help them keep their neck warm in style with this zebra print scarf! 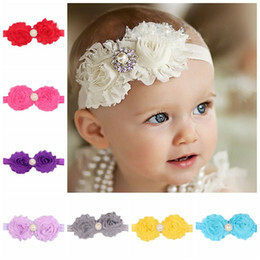 If they live where it snows, or simply gets cold enough to wear a scarf, they will certainly enjoy wearing this one! Everyone needs sunglasses to protect their eyes when the sunlight is too bright, and for that special zebra lover in your life, this one even has a lovely zebra pattern! Give them something nice to wear to protect their everyday clothes from the splashes of oil, and other messes they generate while cooking, with this beautiful zebra on safari apron. 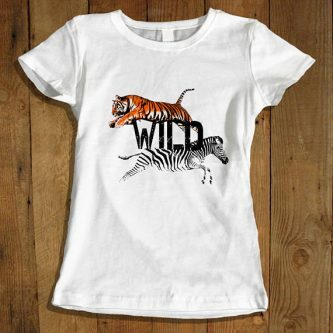 Your favorite zebra fan is as wild as they come, and that’s why they need this “Wild” zebra and tiger safari shirt to wear! 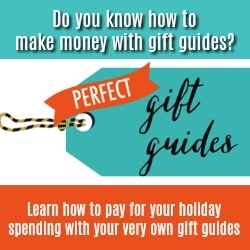 There are a lot of people out there that like more popular kinds of animals, but zebras are fun and unique, and these gifts are as well!